Get ready for a Saree over dose!! I am back with a Saree post! But this time, its for my lovely readers. On the ocassion of Valentine's Day, I have two beautiful Triveni sarees to give! So read on and get yourself a gorgeous Triveni saree. Please don't get disheartened my male readers! You too can participate and win one for your better half! I have been privileged to wear more and more of the six yard wonder since I have become the brand ambassador of Triveni sarees. Also I got to try out various styles. I am usually not too fond of routines so trying out various Saree drapes every time I wear one is my favourite pastime! Here are some of the drapes I have tried in the past few months. Do you like them? This kind of draping is my all time favourite!! Which of the above drapes is your favourite or you would like to try? Why?Or do you have your own favourite style of draping? Leave your comments below. 1. This contest is open internationally. 2. This contest is open from 12th February to 20th February. 3. Winners would be chosen by Triveni Ethnics. Follow Triveni sarees.com and Docdivatraveller on facebook. 5. Winners would be notified by email. So please leave your email along with your answers in the comments below. I love your Mumtaz style! I am bored of the normal drapes and this is such a refreshing take on the six yards! Also for a tomboy like me, I don't have to waste time in taking care of the falling pallu! I like all the styles, specifically when draped on gorgeous ladies. Some times it amazed me how much patience you beautiful ladies have to drap sarees in different stiles. In my opinion for best style it has to be selected based on the pattern and cloth as well as body structure, so not a single style is better or best. Well, you look gorgeous in anything you wear Mandira! :) My favourite among the above drapes is: The classical Pallu falling style. Mandira u r looking really elegant. 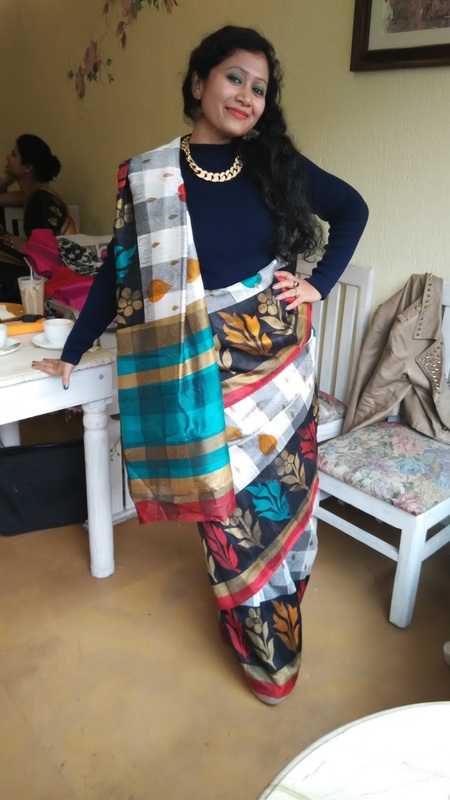 My favourite saree drape style is border to border style coz I love sarees with heavy borders and they are quite easy to drape. :) I can count the number of times I have draped a sari around me.. but I love seeing others in sari.. loved the mumtaz style the best :) the sari and the style.. although I feel comfortable in the good old traditional draping leaving it loose. thanks for dropping by. I have liked ur page n triveni page on fb, keeping my fingers crossed. 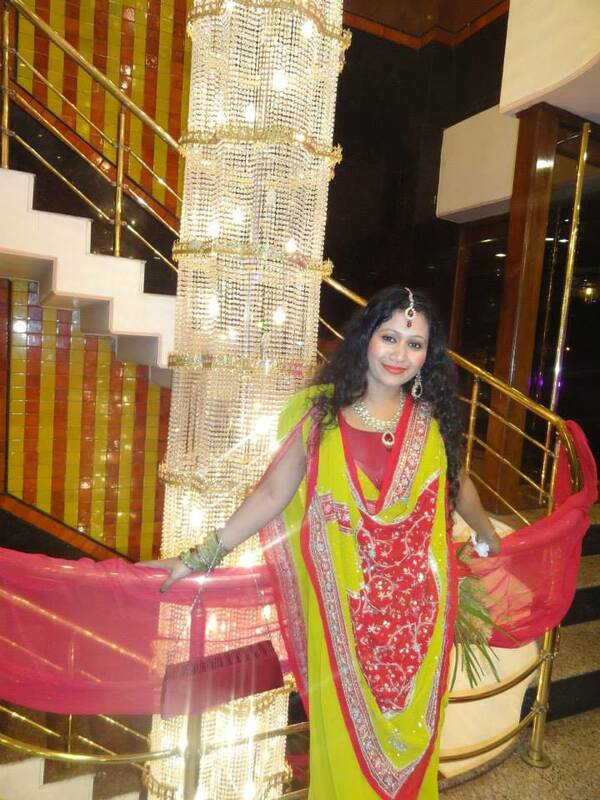 My fav is definitely the BEngali style of draping. When Devdas released we all went crazy n flaunted the drape in our college festivals. I love your Bengali style the most.it's not the traditional style but with a twist nonetheless. The typical style does not have pleats. Here you not only look elegant but the pallu is gorgeously visible too which is the most beautiful part of the saree. What I love about all the styles above that you have draped every saree with a new twist. Saree is indeed the most versatile garment! Liked the pages. Fingers crossed. I like pallu draping because its simple yet trendy. No need to carry pallu and enjoy freely. Moreover it can be done alone, when nobody around to help you out. BUt Sarees always look elegant whatever the style is. I want to win, because the saree reflects Indian culture transmitting all beauty , strength and happiness of the india country. And I love the Pallu falling style. I follow on Instagram and like both pages on Facebook. This is too good and interesting, I would anyway love to be comfortable in south indian style of saree draping.. pics tagged in fb. following u too..
Got inspired by this post & composed a blog .. I love your lahanga style the most. Firstly its of cobalt blue colour which is gorgeous in itself. secondly the drape is super festive and party like. the intricate gold details of the blouse are visible as well as the beautiful golden border of the saree. saree is already a glamorous garment but when you drape like this you make it look ultra sizzling. following the fb accounts. I like the first style of draping a saree , its much different from usual style of saree draping .where one can flaunt the beautiful design on the pallu and gives a classy look .This draping style looks stylish and elegant and makes a normal saree , an adorable one .Thus making an Indian ethnic wear a Classy and gorgeous one . My favorite is the lahanga style.it's perfect for party wear. I love this dresses! great giveaway! I liked the thin pleats pinned up style of the pink saree, that's my all time favourite. I love the All wrapped up style, I like how you can use saree in different styles . I follow on the Instagram . Fingers crossed. Where can we see the results ? Sorry for the delay in announcement guys. The results are out. For the rest of the participants thank you so much for taking part in the giveaway. Better luck next time. I would be back with a new giveaway very soon. Marvelous post. I really like your different type sarees draping style. Thanks for sharing this informative post with us. The collection look quite different from the others. 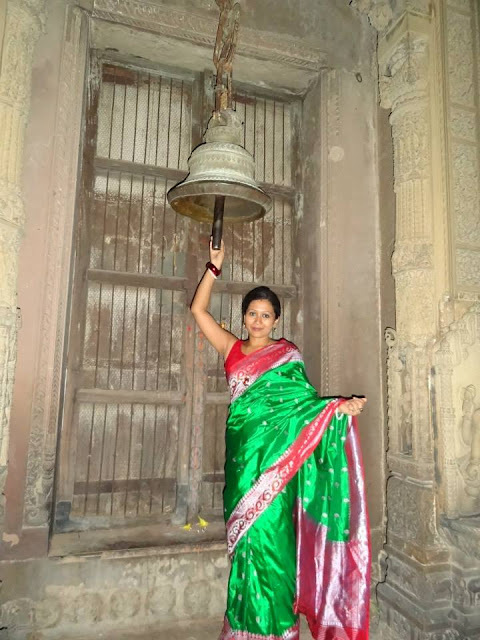 I really appreciate your effort and thank for sharing the sarees post with us. what a rabbish pick yakk and article.